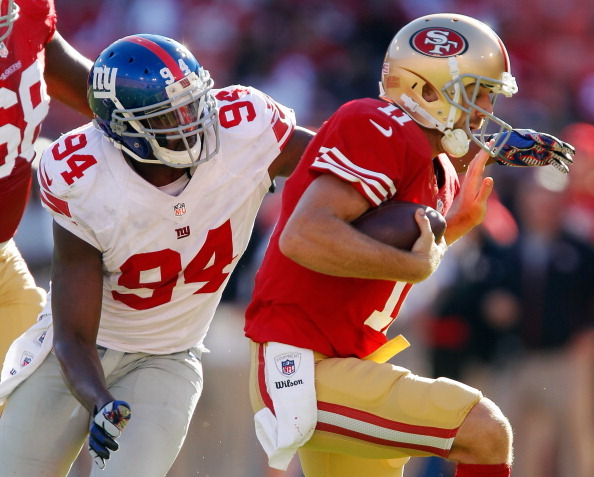 The Niners came into Sunday’s NFC Title game rematch with the Giants thinking revenge. Now they should be thinking about just getting back to playing good football again. Antrel Rolle intercepted two passes and Prince Amukamara added another as the Giants pounded the Niners 26-3. “I think this is our most complete game all year long,” Rolle said. Ahmad Bradshaw ran for 116 yards and a score on 27 carries for the Giants (4-2), whose 20-17 overtime win in last season’s NFC Championship Game propelled them to their second title in five seasons.